Mr. Sandman, send me a dream, ta da da da.....Seventeen year old Chasity Blake knows the Sandman is just a silly children's story parents tell their children to get them to sleep. At least she thought it was, until the day a mysterious, light golden sand appeared in her hands during a high school prank that went horribly wrong. A sand that has the power to send anyone it touches into a deep, sound sleep. Fearing she had lost her mind, Chasity soon discovers the shocking truth of her heritage- she is a Dream Caster. 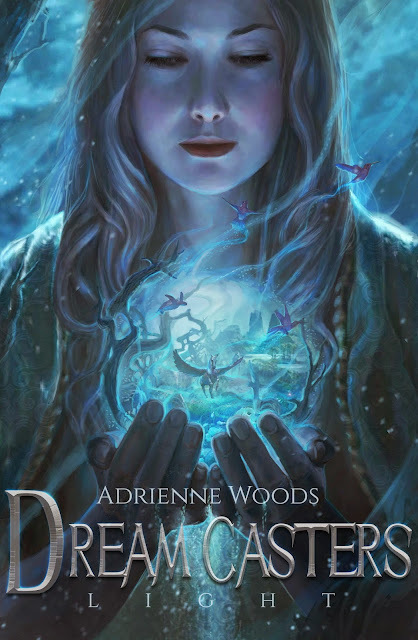 Chasity was never supposed to be raised on the Domain, or what humans call Earth and she is forced to return to her true birth place, Revera – the world of Dreams. However, in Revera there is no balance between good, the Light Casters, and darkness, the Shadow Casters, and Chasity is caught square in the middle. She soon learns that there is no place for anyone containing both the light and the darkness within them, and the shocking truth that if anyone in Revera ever discovered her shadow self, Chasity would be thrown into the Oblivion – the world of Nightmares. Dreams are always more than they seem, and this time Chasity is going to discover just how different they can be. TWO SETS OF FOOTSTEPS made barely a sound on the rough and weathered wood as they walked across the bridge that led from Main Pacific to the Glands. The streetlights were dimmed as dusk began to settle and last vestiges of light from the setting sun were fading to night. The lumbering clouds were moving in, blocking out any light from the two moons that shone overhead, even the stars seemed less bright dotted across their velvet backdrop. With his golden dust Graig Chen could conjure and wield anything by simply believing in its reality. If he wanted it to be real, it would be. The Reverse was the most painful thing either of them had ever experienced, but Liam, a healer and Graig’s only confidant, had promised him that they would be able to live in the Domain like normal Nomads, humans. Graig and his pregnant fiancé, were fleeing from their home world in secret, having no other choice if they desired a normal life for their unborn child. They knew neither of their families would ever understand, even though it had been his grandmother who had always said, the heart wants, what the heart wants. How could he have known that his heart would want a Shadow Caster, and not just any ordinary Shadow Caster. She was special, or at least her family was. She was expected to uphold the family line with her offspring, Graig knew that did not include carrying the child of a Light Caster. The two lovers could never live in peace, not since the balance between good and evil inside Revera was thrown into upheaval. There were only two choices for casters like them, either light or dark. The balance could not accommodate a person containing both, so for his child’s sake they had no choice but to leave Revera. Live like normal humans in the Domain, or what humans would call reality. He’d found a perfect place, one he’d made sure no one would ever find, not even his two best friends. They knew about the relationship, they’d been there when he’d first laid eyes on her, tried to talk him out of it, to forget the blonde bombshell that would only cause him darkness and misery, but without her his life would be spent in darkness and misery. Her silver blonde hair and bright blue eyes had done him in, if only he’d seen the bow that she’d aimed straight at his heart. If it hadn’t been for his love when arrow hit, and for Liam, a healer, he wouldn’t be in his currant predicament; trying to get him and her off this dimential world that most people would call make-believe, but Revera was far from that. It was the world of dreams, and Graig was a Level Four Caster whose mission was to seek out Selene, their only live Somnium. It was on one of these very missions that he had met the love of his live, the one woman he couldn’t live without, and he didn’t care if she had black dust, he didn’t care that she was a Shadow Caster, or what some would call a nightmare wielder. Yes, those horrible dreams that leave you paralyzed with fear are actually wielded by Caster’s, not some grave impression of ones subconscious. They are responsible for doubts and forgotten dreams. She was his nightmare, and a nightmare he was prepared to die for. He knew deep down that she would would never survive living in Revera and he was unable to cope with the Oblivion, wherever it was. Oblivion was the realm of the Shadow Casters, created when Selene casted out Magdelena, one of the first Shadow Casters, who was the third Somnium, as a consequence for the death of her brother, Darius, the second Somnium. Magdelena had no realm to call her own, so she created Oblivion by focusing her hatred toward Selene, a world that could exist inside Revera, far from Selene’s sight. For years, Selene tried to find it, but as long as the Sodivic bloodline flowed through Shadow Caster’s vanes, Oblivion would never be found by a Light Caster. Sodivic blood was the key to Oblivion’s secrecy, and Magdalena’s family line. There were many Sodivic’s since the dawning of Oblivion but Magdelena reigned over them all. Graig had met many Sodivic’s on his quests, each meeting always ended up in a bloody mess, and in all the years he had encountered them, not one had ever shown any kind of mercy or remorse. They were sadistic and couldn’t be reasoned with. He had been taught from a young age, if you see a Sodivic, you kill it. That was the number one rule taught to the Level One Dream Casters. His fiancé was the only one that proved his theory wrong. Over the past century, their bloodline had been busy dying out, leaving her one of the few powerful Shadow Casters left. Graig would pay dearly for loving her if her father ever found them, and he couldn’t even think about what would happen to the unborn child she carried. Craig squeezed the hand that was resting tightly inside his own grip as they neared the end of the bridge. “You’re sure nobody followed us?” Her eyes were wild, searching everywhere in the darkness. “I’m sure. Besides, they won’t be able to see us, remember.” He opened his hand, just to make sure she hadn’t forgotten what he was, and threw more golden sand into the air, shielding them from anything that tried to followed them. Then he heard it, a crunch. He stopped abruptly and she slammed into him. One second of doubt was all it took to break the spell, and before he could realized that doubt, they were surrounded by Nimgolians, the biggest and wicket shadow hounds ever imagined. They were veil, and reminded him of a Rottweiler that had chased him ones in the Domain. The author Adrienne Woods hits another home run with her new young adult Dream Casters Series where she creates a world of dreams. This series takes you into the world of Light Casters (known as the good) and Shadow Casters (those that are evil and create nightmares). She describes in rich detail the world that exists in Domain (humans live here), Revera the world of dreams where the Light Casters live and Oblivion where Shadow Casters live and create horrible unspeakable havoc after they were cast out of Revera. This story starts with a superb opening chapter setting up the story line but you need to read it slowly to absorb everything going on which will make more sense as you get further into the book. I personally had to reread it twice to make sure I understood the story setup but I am glad I did. There were parts to the story where I did get confused but when I slowed down the speed of my reading it all made sense. Character development was handled in a unique manner, taking you from the love between a Light Caster and a Shadow Caster who were expecting a baby through that child's "Initiation" and training as a teenager. Character descriptions set up the reader to become so engrossed in the story that I wouldn't be surprised if you didn't read it in one sitting like I did. I felt the authors scene descriptions throughout the book were elaborately detailed causing the reader to become part of the story experiencing everything that Chasity, Leigh, and the others did. I recommend this book for all readers and give it 5 STARS. 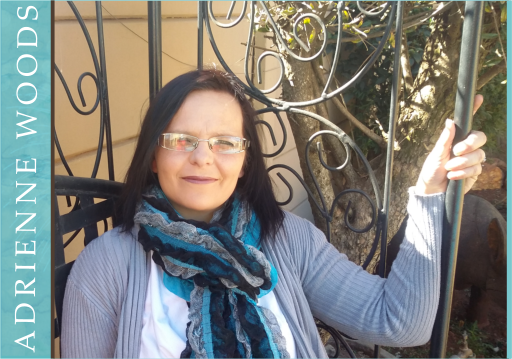 Adrienne Woods was born and raised in South Africa, where she still lives with her husband and two beautiful little girls. She always knew she was going to be a writer, but it only started to really happen about four years ago. In her free time―if she gets any because moms don’t really have free time―she loves to spend it with friends, whether it’s a girls night out, or just watching a movie. She’s a very chilled person. Her writing career started with Firebolt, book one in the Dragonian series. There will be four books in total, including a further two to three books, which will be stories that take place within the Dragonian series. 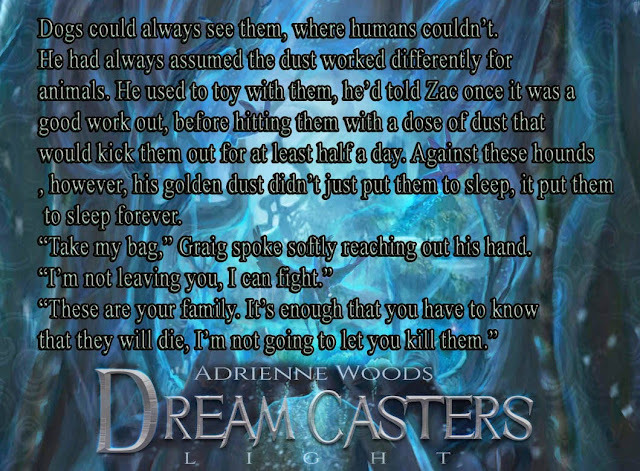 Her other series, Dream Casters, will be released mid 2015. She also writes in different genres, and her woman’s fiction, The Pregnancy Diaries, will be published under a pseudonym. And then, she has a paranormal series by the name of the Aswang series, which will consist of about ten novels. And if that wasn’t enough, there is another series, Guardians of Monsters, which will be released in 2016.